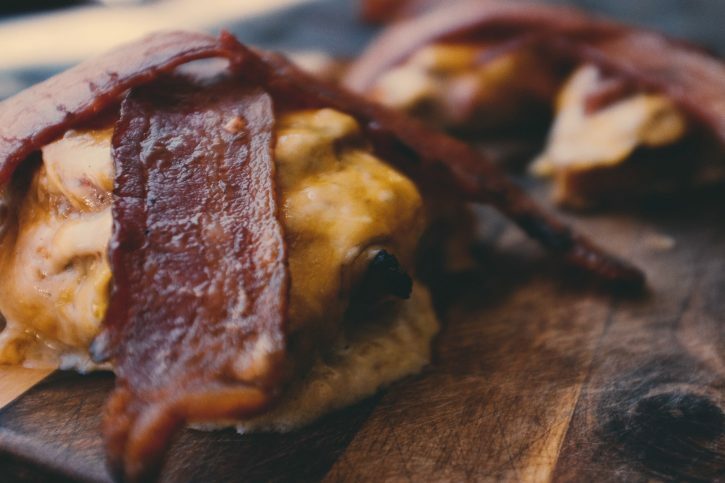 The Kentucky Hot Brown is an American classic! This open faced sandwich was created at the Brown Hotel in Louisville, Kentucky in 1926 to feed the masses of late night dancers who frequented the hotel. Of course, we at All Things Barbecue had to put our touch on the classic by smoking our turkey, instead of roasting it. But the rest we left unchanged. After smoking our turkey breasts, we sliced them nice and thick and began to pile the toppings on the bread. 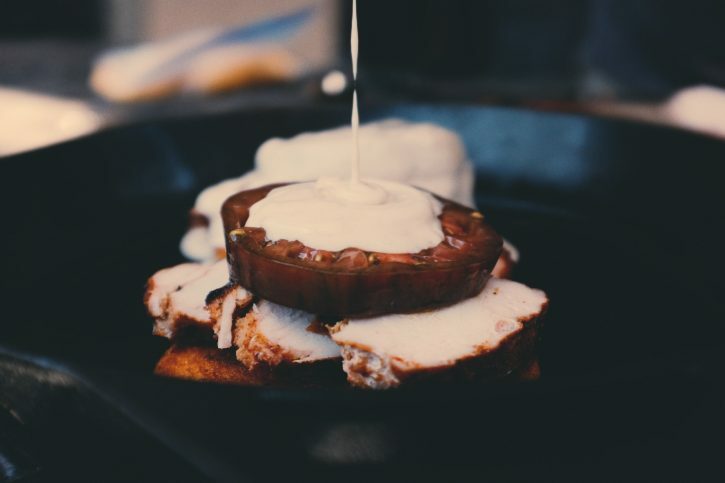 First the turkey, then a thick slice of heirloom tomato. It’s then smothered in creamy, cheesy mornay sauce. A heap of shredded cheddar and it’s back to the cooker to brown the sauce and cheese. The only thing left to do is add a couple of slices of bacon, and you’ve got a late night bar room classic! In a brining container, combine half of the Sweetwater Spice Apple Rosemary Sage Turkey Bath with 1/4 cup kosher salt and 2 quarts water. Whisk to combine. Add the turkey breasts. Place in the refrigerator for 2-3 hours. Preheat your Yoder Smokers YS640 pellet grill to 275ºF. Remove the breasts from the brine. Pat dry. Season with Cattleman’s Grill 8 Second Ride Carne Asada Seasoning. Place in the cooker and cook to an internal temperature of 160ºF. Remove the breasts and rest. Turn the grill up to 500ºF. On the stovetop, melt the butter over medium heat. Add the flour and whisk for a minute, until the flour just begins to darken in color. Slowly whisk in the milk. Bring to a simmer and begin whisking in the white cheddar, a handful at a time. Continue whisking until the cheese is all incorporated and the sauce has thickened. Season with salt, pepper and nutmeg. 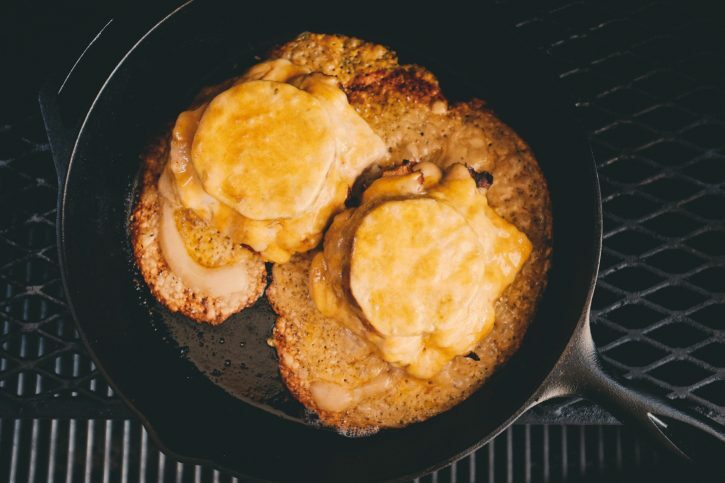 Place your toast in a skillet, sheet pan, or other cookware. 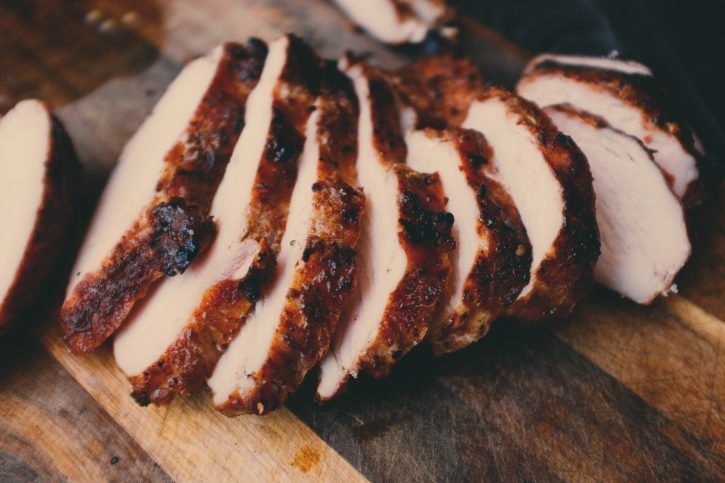 Slice the turkey into thick (1/4”) slices and fan them out over the toast. Place a slice of tomato on top of the turkey. 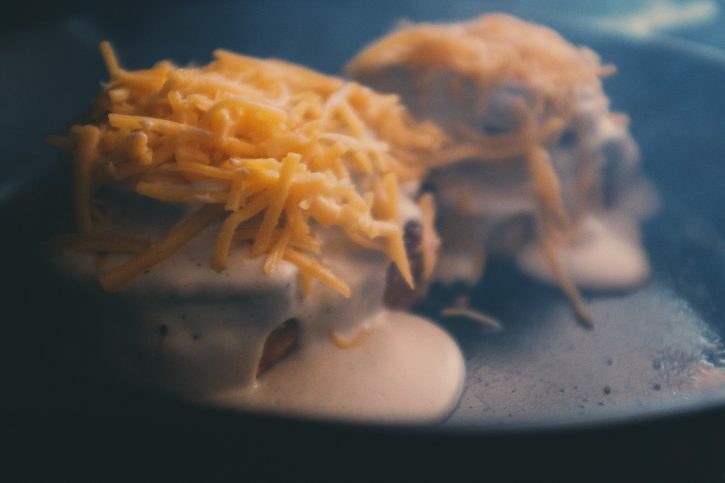 Smother everything with the cheese sauce. Top the cheese sauce with the grated yellow sharp cheese. Transfer the pan to the second shelf of your grill. Cook until the sauce is cheese is melted, the sauce is bubbling and beginning to brown on top. Serve with two slices of cooked bacon on top.